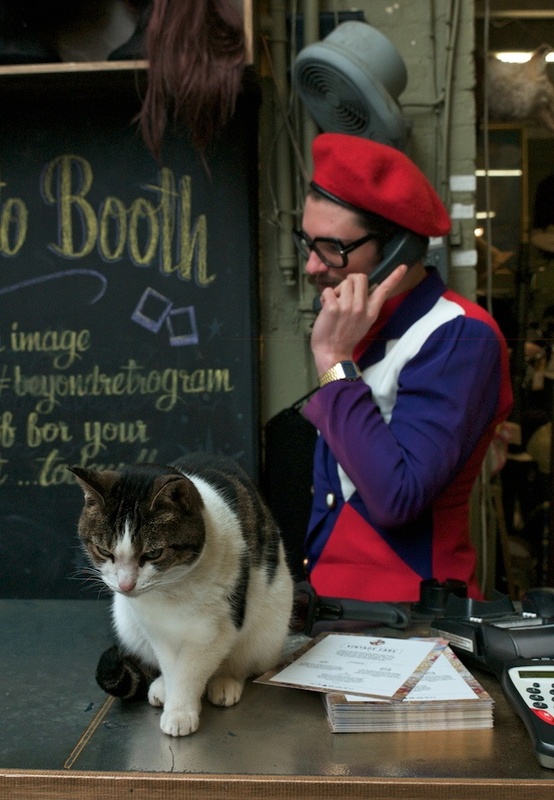 Spitalfields Life Contributing Photographer Chris Kelly is making a survey of the esteemed felines of the East End, and today it is my delight to publish more of her portraits of famous cockney cats and their human admirers – from Bethnal Green, Spitalfields and Moorfields. 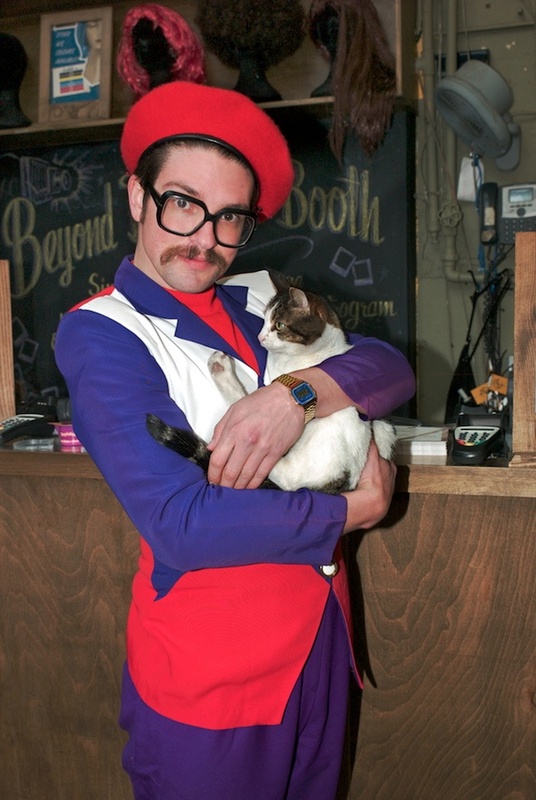 “Iʼm from Nice and Iʼve worked at Beyond Retro for four years, but Tiny was here before me. 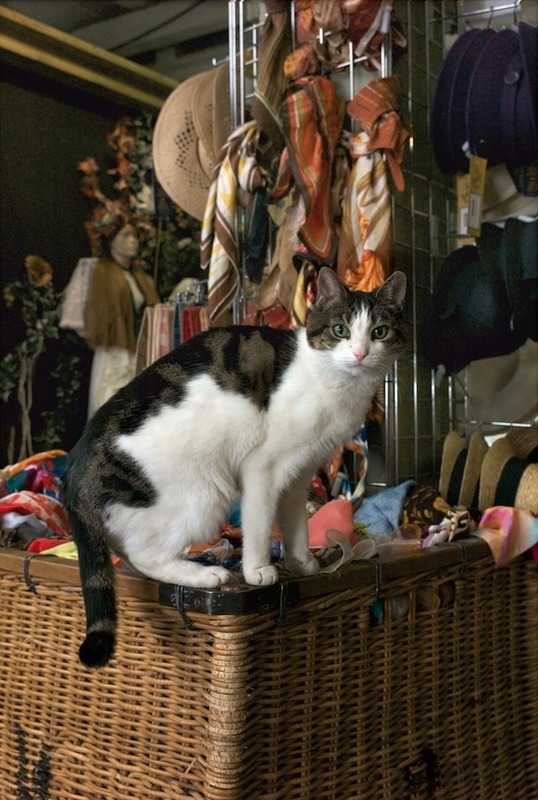 Iʼm told she just turned up on the doorstep one day, and sheʼs happy here and sheʼs very good with customers. 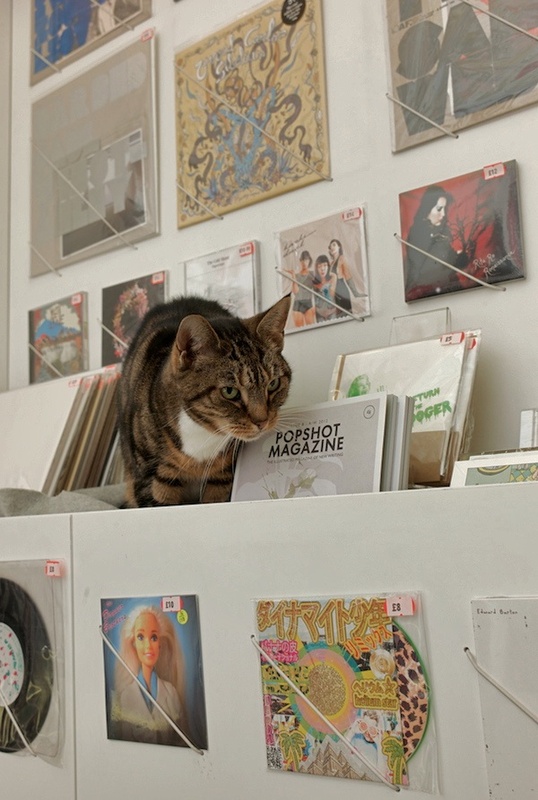 Tiny has met many of the celebrities who shop here and become a celebrity herself, featured in a double page spread in ‘Your Cat’ magazine, as well as appearing in several street style books and music videos. She likes sitting on the counter so she can see the customers and sheʼs often in the office. Tiny tends to stay in more as she gets older though usually takes a walk in the morning. “You can call me the manager if you like – I donʼt really have a title, I just do everything. 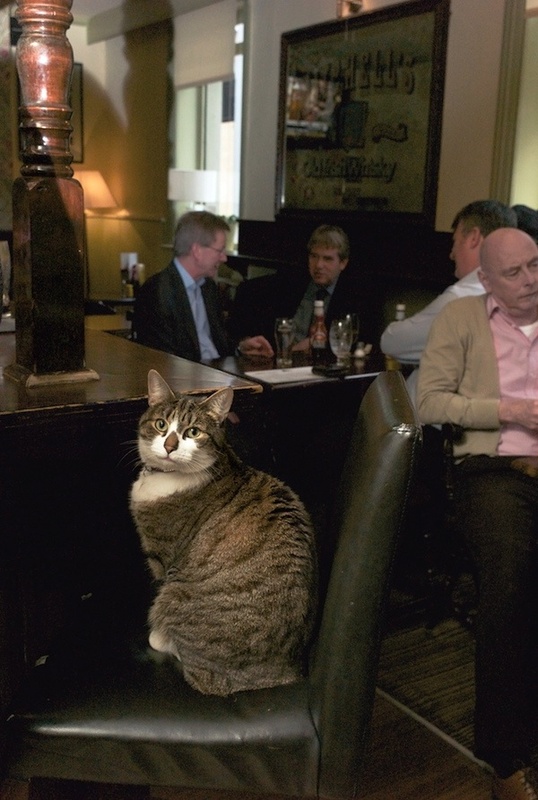 Weʼve had the pub for five years and we have a good mixture of customers. 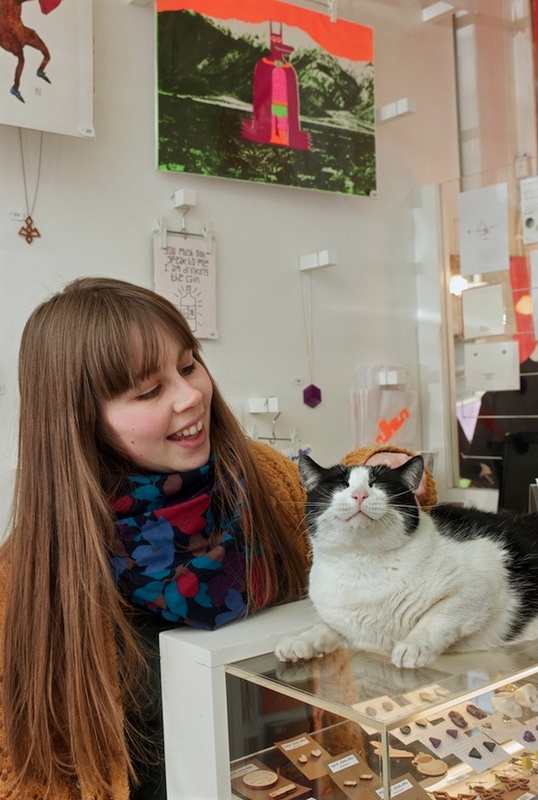 Katie - “The cats here are becoming famous partly, I think, because of the cat cafe thatʼs going to open in the East End. We had a German TV crew in yesterday. 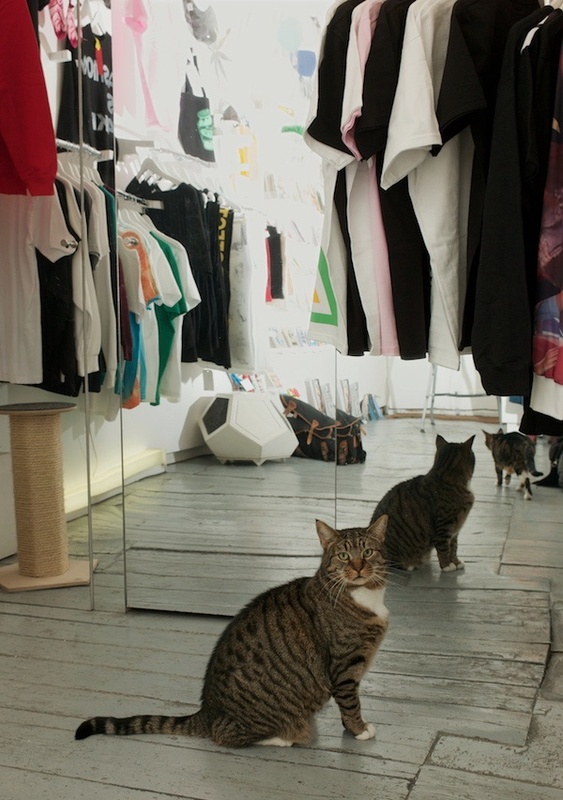 Bobby is my favourite – if he was human weʼd be dating. Heʼs always getting into scrapes, scamping outside in the car park and getting dirty. Last week, he got diesel oil all over his paws and had to go to the vet to be cleaned up. Janice - “The cats lived here from the start – this is an animal-enhanced environment and some people visit just to see them. The small tabby is Makita. She used to live in my carpentry workshop and sheʼs named after the tool brand. 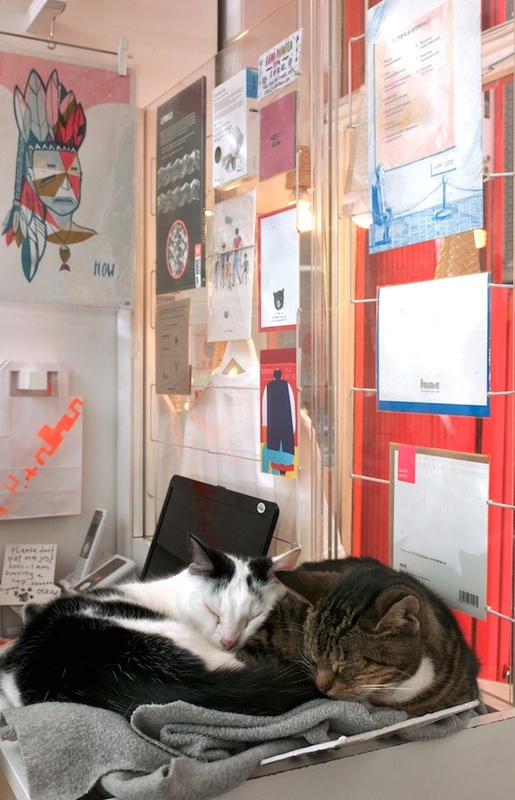 She and Browser, both females, sleep together and groom each other, and they tend to keep themselves to themselves. Makitaʼs mother is completely black and she was named Gap by some French people who were fascinated by the Underground. Unfortunately, she and Makita fight so Granny Gap lives at home. 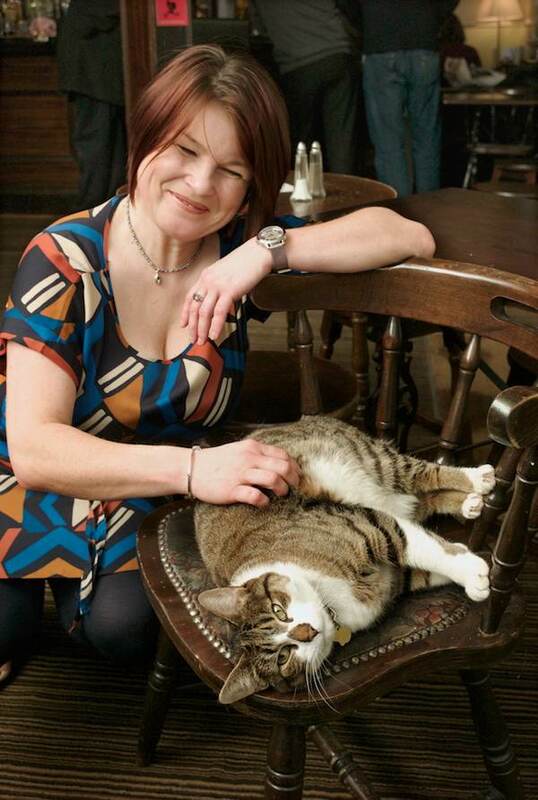 Sally the cat looks like she is posing for a Hello magazine camera shoot! 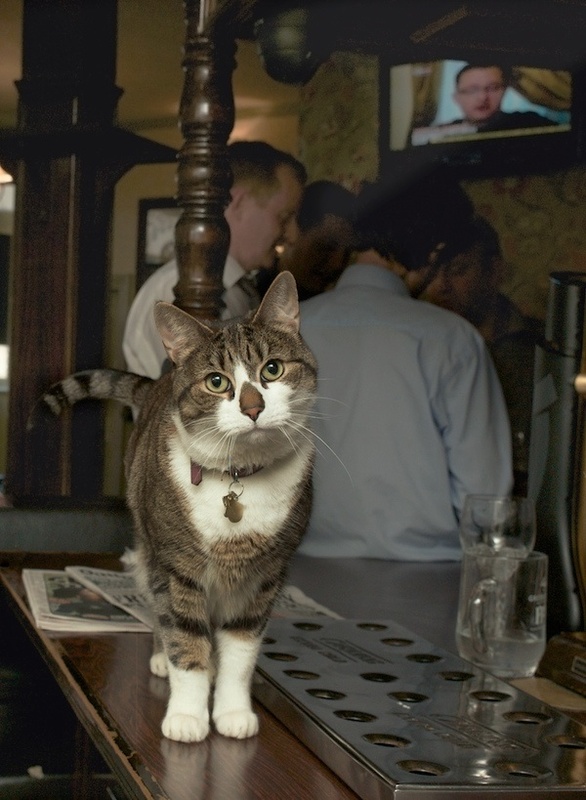 The “Seven Stars”, in Carey street, lost their old cat, Tom Paine, last year … but the new one is very friendly. 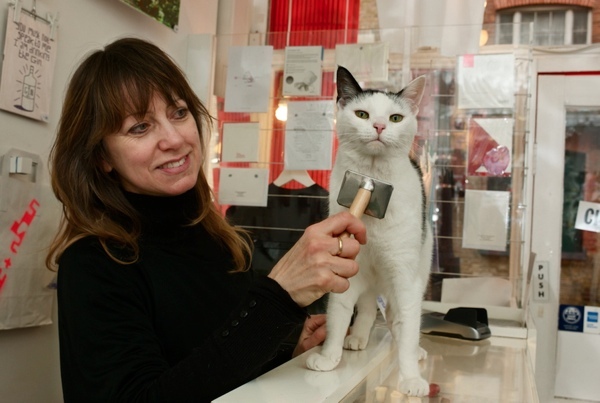 I work at Alnwick Castle & we have a castle cat called Bunyip,the visitors love him & he features on castle postcards & maps.I think all cats love an audience. 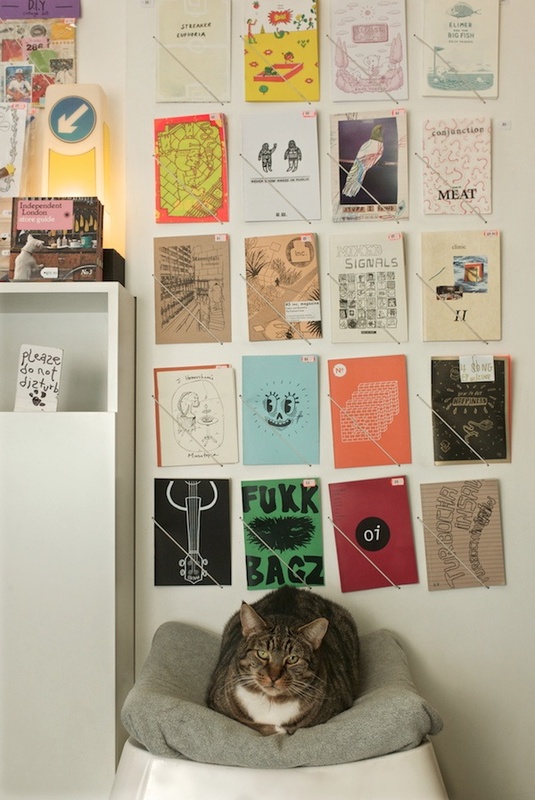 Absolutely adore these cat posts! 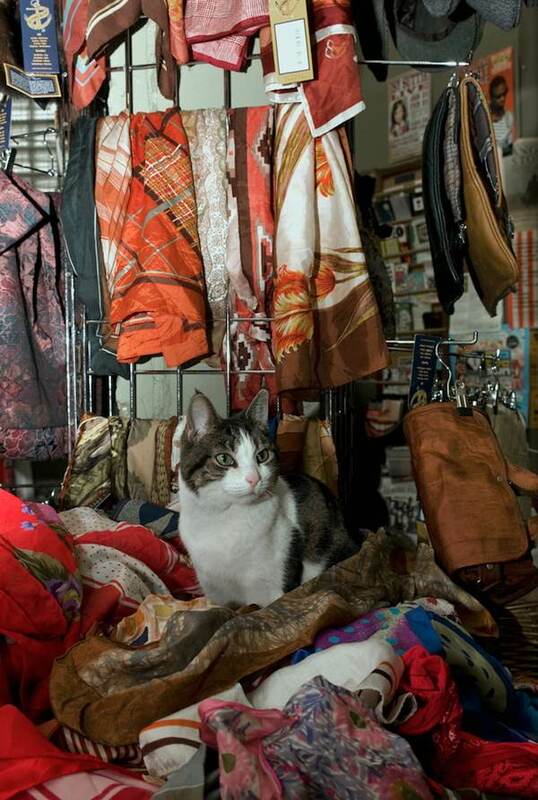 I’ve never noticed Tiny in Beyond Retro before but will definitely take a look next time I’m in. 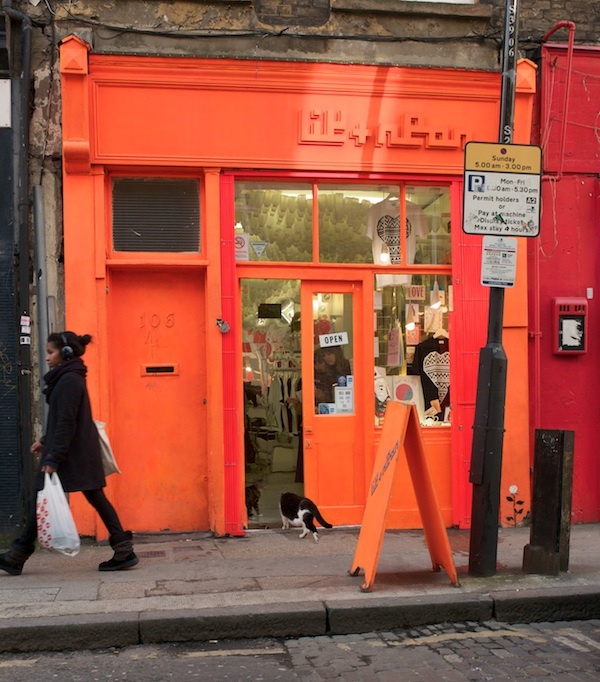 In addition, thanks to the introduction to Lik & Neon – looks like a great shop and I plan to visit soon. I love cats and I definitely think that they are a great company despite what people say. I’m a big fan of the slightly corpulent animal that graces The Pride of Spitalfields on Heneage Street. 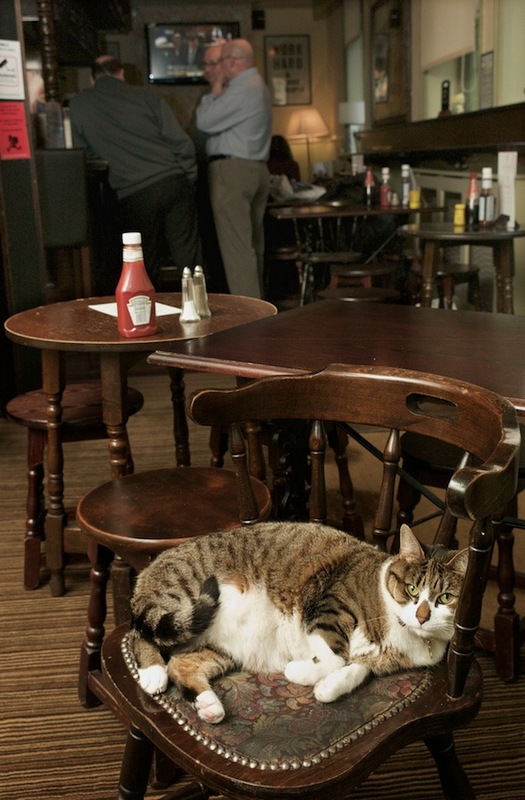 This is a cat that reserves its own table and tells others when they sit in its seat.